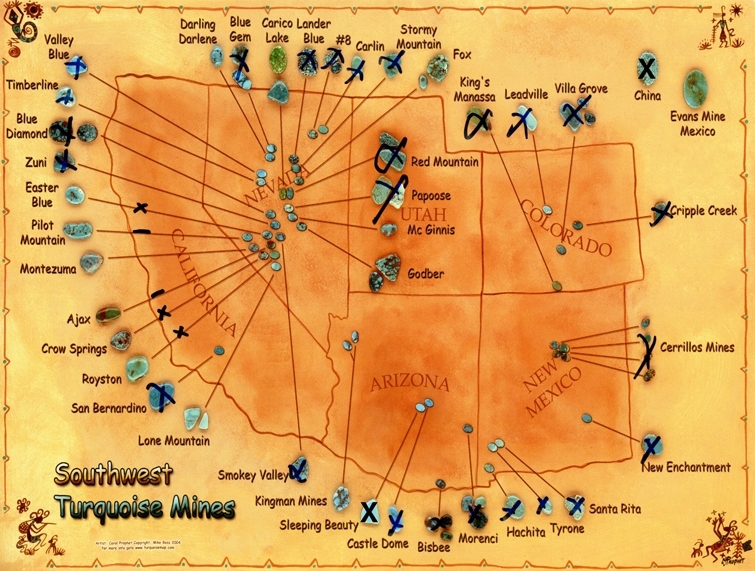 A map of the Southwest American Turquoise mine the owner of the Blue Moon Mine gave me when we first met in 2006. Since that time, the Sleeping Beauty Mine closed in 2012 and. China’s mines are also closing or have already closed due to environmental impact.